The situation in the ATO area remains tense; Russian-terrorist troops continue to actively shell Ukrainian troop positions. 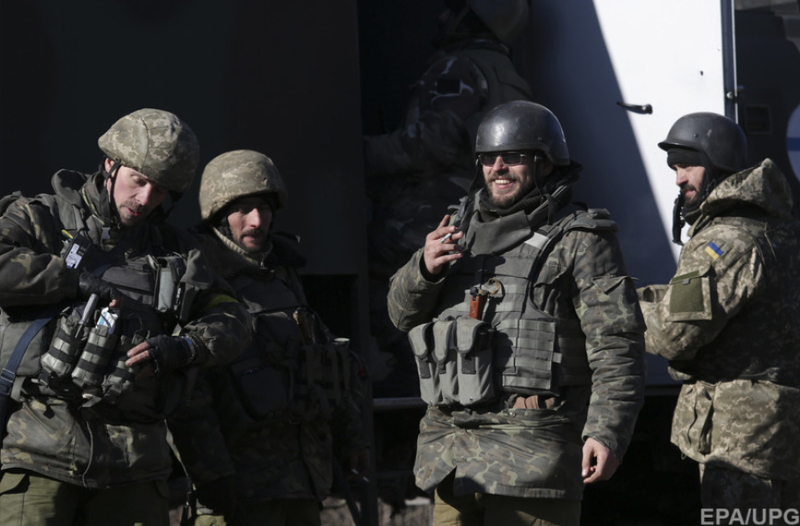 Russian-terrorist units are regrouping on the main lines of operations. Enemy units are being restaffed and supplied with additional armaments and military equipment in order to restore their combat capacity. This process is being supported by an increased supply of resources and materials. Over the last 24 hours, at least 4 supply convoys were spotted arriving from Russia to the occupied territories of Donbas (for a total of up to 55 vehicles and 28 pieces of combat equipment, including tanks, armored fighting vehicles, and self-propelled artillery units). In the area of Debaltseve, during 02.19.2015, the enemy attempted to prevent the exit of disjointed and remaining groups of Ukrainian units from the Debaltseve force, by a “clean-up” operation of the city and its outskirts. Occasional firefights were reported on the Kalynivka – Lohvynove – Nyzhnje Lozove, in the direction of Luhanske [village in Donetsk oblast; not to be confused with the city of Luhansk] and Svitlodarsk. Insurgents and Russian military servicemen attempted to set up screening forces and fired sporadically on the main transport routes in this area. The enemy’s main assault tactical groups are regrouping further into the occupied Donbas territory. Additionally, remnants of the tactical group from the terrorists’ “Horlivka garrison,” which took part in fighting for Vuhlehirsk, are being transferred from the area of Debaltseve towards Horlivka and Yenakijeve (11 tanks, 8 CFVs, one mortar battery, one anti-tank battery, 4 anti-tank guided missile launchers, and 4 MT-12 “Rapira” anti-tank guns). We also have reports that several “LNR” mobile groups (mainly the remnants of so-called “Cossack” formations and local insurgents) are moving towards Pervomaisk on motor vehicles (total of up to 250 personnel, several 120-mm mortars, and 4 tanks). 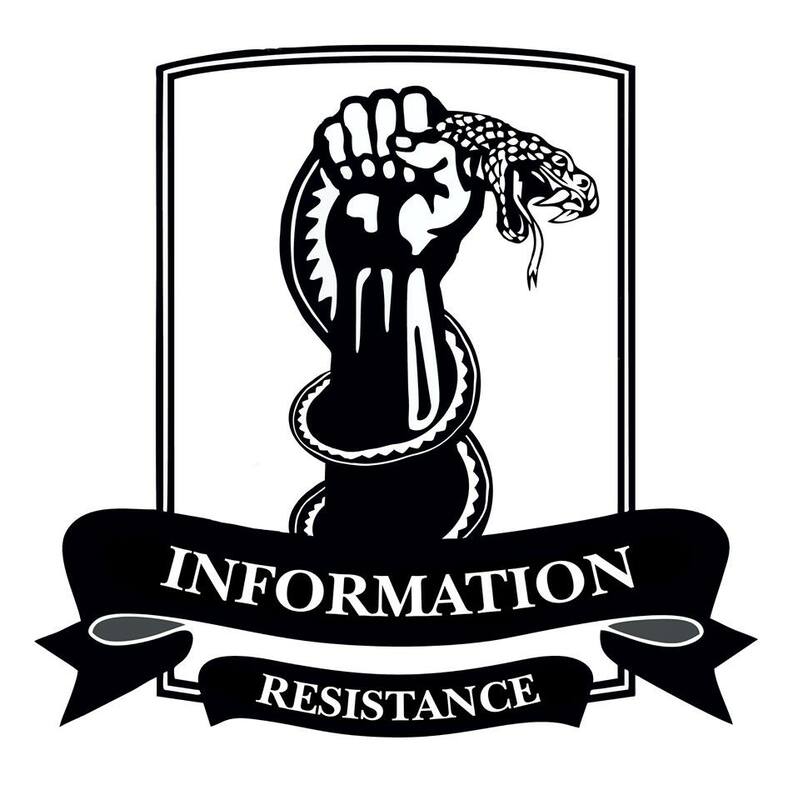 During the last twenty-four hours, Russian-terrorist artillery groups stationed near Donetsk fired on the positions of Ukrainian troops in Pisky, Marinka, Vodyane, and Opytne (three instances of MRLS fire, but mainly cannon artillery and mortars). Ukrainian troops opened retaliatory fire, in individual cases and only on surveyed and confirmed targets. A fresh tactical group is being transferred to the area of Donetsk, through Snizhne and Shakhtarsk, on motor vehicles (up to 20 trucks and 3 minibuses). The convoy also includes four BMP-2 infantry combat vehicles, and two BTR-80 armored personnel carriers, used as march security. This tactical group is manned by local insurgents and Russian mercenaries who received training in Russia, in the training camps of Russian special services. More of the insurgents’ equipment damaged around Debaltseve is being transferred to Snizhne, Donetsk, Yenakijeve, and Horlivka, for repairs. A mixed group consisting of insurgents and Russian mercenaries arrived to the area of Bezimenne (near Novoazovsk) from the territory of Russia, up to an enforced company in strength (130 personnel, 4 tanks, 6 trucks, six D-30 guns, and a mortar batter). This group was accompanied by a reconnaissance group manned by military servicemen of the Main Intelligence Directorate of the General Staff of the Armed Forces of the Russian Federation (17 personnel, 3 jeeps, and a minibus). This entry was posted in Dmitry Tymchuk, English, English News, Pictures, South&Eastern Ukraine, War in Donbas and tagged #RussiaInvadedUkraine, #StopRussianAggression, #UkraineUnderAttack, Dmitry Tymchuk, Donbas, Information Resistance, Ukraine. Bookmark the permalink. Do Ukrainians still believe this guy’s humbug? Every single time it turns out that he was wrong and Russian propaganda was right. Or does this just get posted to fool Canadians with a north-american attention span? You can tell your FSB handlers/professors over at Lumumba Peoples Friendship or Moscow Polytechnic universities that North Americans don’t use the word “humbug” anymore. Holy mackarel Batman, your text books need updating. Dmytro, spasibo za informatsiu. Spasibo. S vami bog. I have been reading your daily “Military Update” since June 2014. Over the past month you wrote several times about russian-terrorist forces built-up around the “Debaltseve Pocket” and how their other formation / positions were stripped down to build up their Debaltseve push on Ukrainian military. The ukrainian generals do not seem to have any strategy other that allow russian-terrorist forces to encircle ukrainian troop positions and then order a retreat?! And before they allow Poroshenko to say he would not give up an inch of Ukraine?! Ukraine military could have launched a military action(s) so that the russian-terrorist forces would not have been able to concentrate their forces. (Putin does not have that many russian-terrorist forces?!) What are they thinking of in Kyiv?Are they dreaming? Or What?? Ukraine needs a “Fighting General” not military managers. Even if Obama were to give precision weapons to Ukraine they would be next to useless with the kind of generals Ukraine has now. Is there a “Montgomery” in Ukraine?! Azov battalion seem to have the the right approach with military assault near Mariupol. You have said you do not want to criticize Ukraine military well Ukraine and military needs it now. Poroshenko seems to be a nice person who does not seem to understand there is a war. War must be won. If there is no will to win the war better to make a deal with Putin now. Merkel and Obama will then be very happy and congratulate Poroshenko for statesmanship and maybe even nominate him for a Nobel Peace Prize. The situation is not as straight forward as you would like it to be. In short, the Ukrainian military is fighting with one hand tied behind their backs because they can’t do things that would spark a larger overt confrontation and other things that could alienate western partners. It’s an extremely delicate balancing act that technocrats like Yatsenuk seems to grasp well. This is not to say that there aren’t problems in the General Staff and Interior Ministry as well as other related depts.